Heroic Adventure: Check in-game to see where and what the adventure is. Challenge Requirement: One player must stay in the middle pool area until the encounter is complete. Melee kills buff weapon damage and weapon kills buff melee damage. 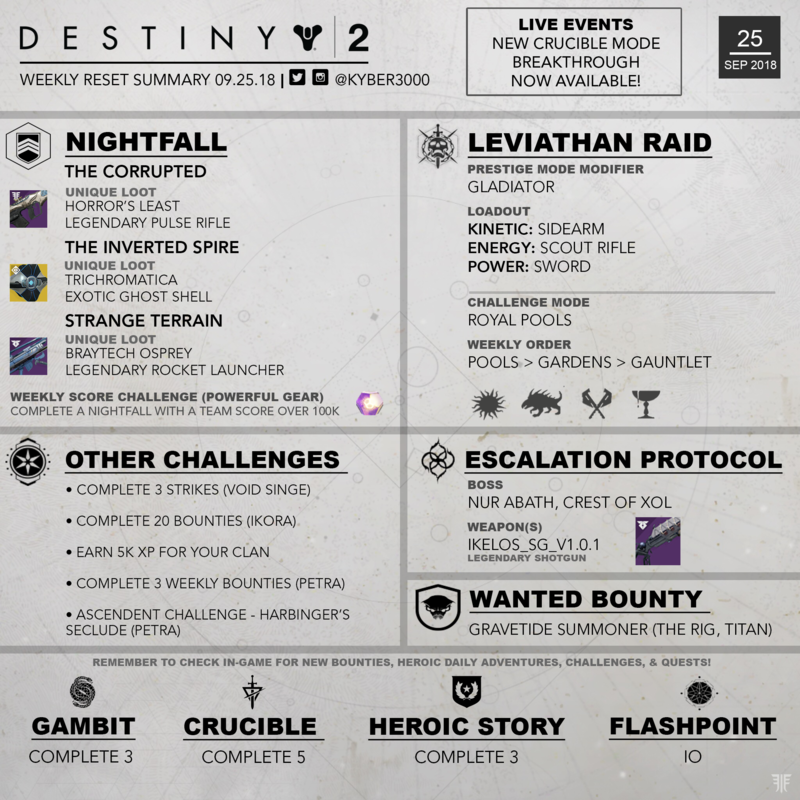 Complete various activities on Io including public events, Lost Sectors, and Heroic adventures. 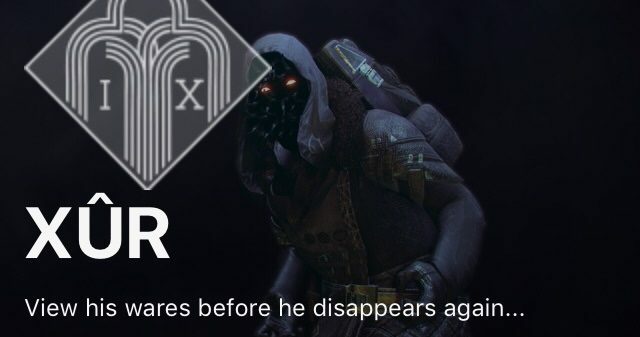 WARNING: This is week four of Forsaken. The Prismatic thingies cap at three. 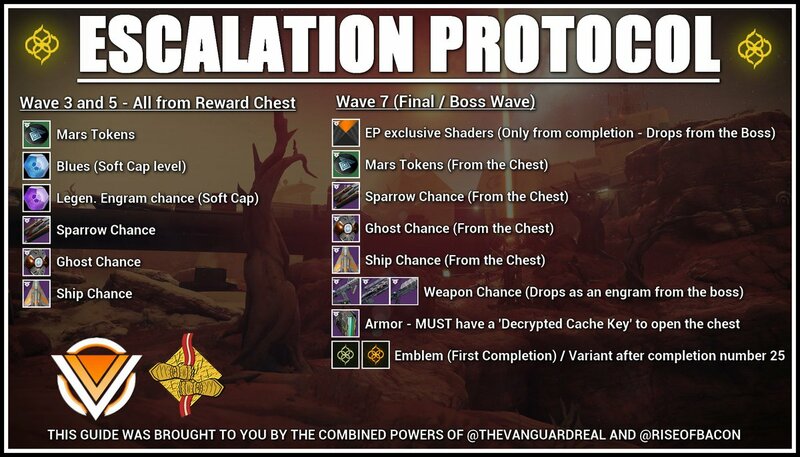 If you haven’t spent one yet, DO SO before doing the Bounty to get a new one, or it’ll be lost! (Source: . 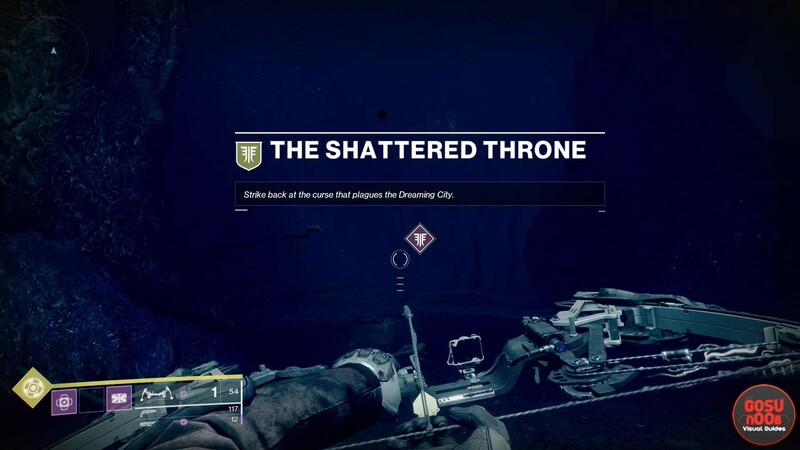 For Forsaken guides click here. Have a great week! I can’t wait to get my hands on the Malfeasance Exotic Hand Cannon after seeing this amazing and beautiful ornament I got from Tess today!